In her new memoirFull Circle, former Lehman Brothers CFO Erin Callan writes that she "leaned in" too far to her career and neglected the rest of her life in the process. 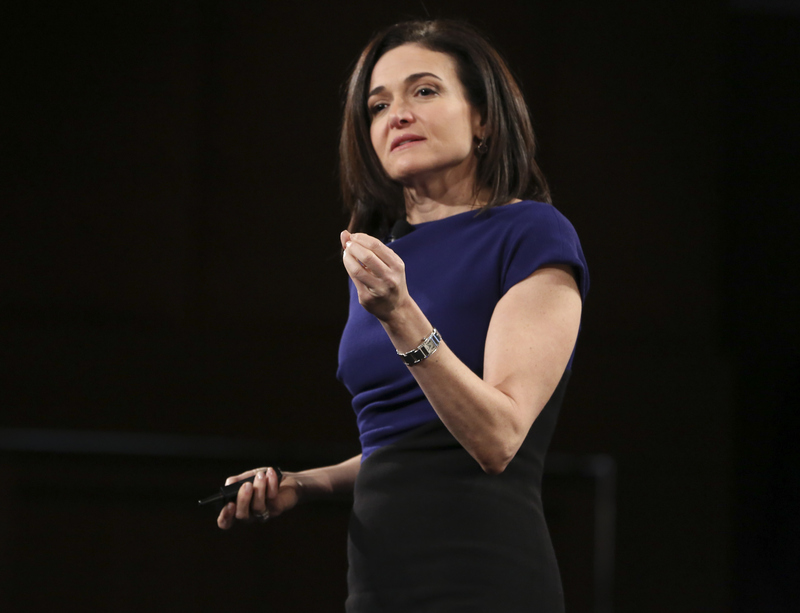 This desire for a fulfilling life outside work is one of many reasons women might not "lean in" as Sheryl Sandberg prescribed — and that should be acceptable. Too often, instead of telling companies to welcome women, we tell women to advance their gender's position in the workforce at all costs, and that's where the "lean in" philosophy falls short. WhenLean In came out in 2013, readers brought up a lot of valid critiques, including that it disproportionately applies to financially privileged, white women and that it places responsibility on women in the workplace to fix what is not their problem. Another critique that came up was that there are situations when women don't want to or can't lean in, and they have the right to "lean out" if they so choose. Here are a few situations where it's understandable and totally fine for women to lean out of their jobs or careers. The burden shouldn't be on us to fight for gender equality at the expense of doing what's right for ourselves. In our capitalist, productivity-obsessed society, we learn to define ourselves by how much work we can produce, which can cause us to put important things on the back burner. “I confused success with passion,” writes Callan in her memoir. “I was a woman not only looking to take a leadership role in a male-dominated industry, but doing anything to make that happen.” It wasn't until leaving her job and starting a family, she said, that she finally started "living up to my full potential." That doesn't mean women without kids aren't living up to their potential, but it does mean we sometimes need to deprioritize jobs that aren't working for us to accomplish other goals. A frustration many women have with the advice to "lean in" is that when they do, they often experience pushback. They're told they're being too aggressive, or they're simply ignored. One survey from the University of Wisconsin-Milwaukee found that women engineers often end up leaving their jobs because there aren't enough opportunities for advancement, and Deloitte's Millennial Survey found that women in all different fields are quitting their jobs for the same reason, with more women than men feeling overlooked for higher positions. When you're leaning in and not getting anything in return, it's time to either lean out or lean into something else. As the website #TableFlip2015 points out, what's the point of leaning in to something you don't believe in? The tech industry, which women are often pushed to "lean in" to, is full of sexist company cultures and useless ideas. Or, as #TableFlip2015's creator more humorously puts it, "We’re ceasing to give any more f*cks about your incompetently-run 'Uber for cats' app." Some people simply see their jobs as day jobs and engage in more fulfilling things outside of work, some see their jobs as stepping stones to future opportunities, some are trying to leave their jobs for something they actually want to lean in to, and many don't feel welcome at their companies. Women shouldn't feel pressure to lean in to jobs that aren't working for them or aren't their passions. Our society's valorization of workaholism can get us into a lot of unhealthy habits and make it difficult to honor ourselves when we need to let these habits go. If you're working such long hours that you're getting exhausted, sick, or just unhappy, that's a sign you could be leaning in too far. Or maybe it's not — maybe you're willing or forced to sacrifice your health or happiness for the time being. But you absolutely should not have to, regardless of your gender. When "leaning in" comes at the price of your well being, leaning out may be the only viable solution, and if anyone gives you a hard time about that decision, remember that gender equality in the workforce is not your problem to fix.